Birds on land and in the water. 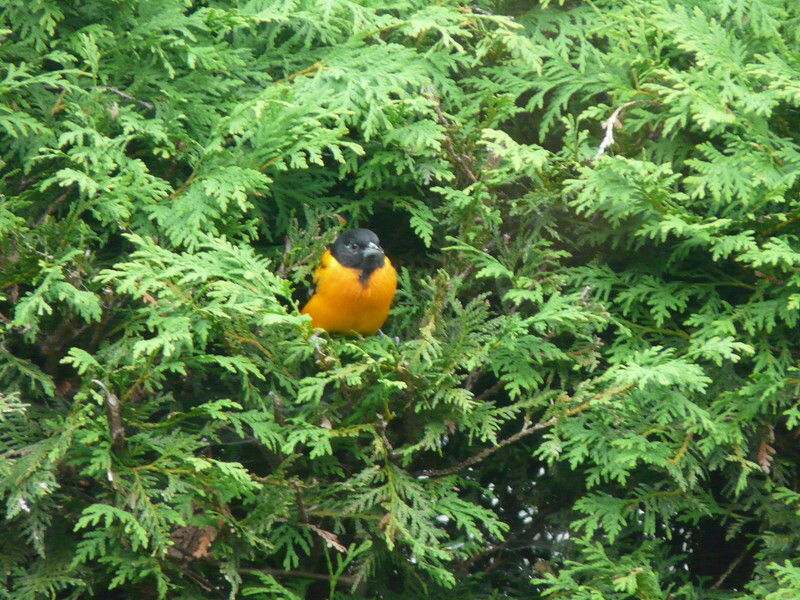 Mr. Oriole loves the cedar hedge. He sits there for 15-20 minutes at a time--just looking around admiring Terrasse Audrey. :-).